Scott Peterson has practiced criminal law for over 30 years and has been a dependable source of legal advise and aid for citizens of McLennan County since 1986. He has participated in numerous jury trials – from DWIs to all types of felonies – and has handled over 5,000 criminal cases in his career. Scott Peterson is a native Texan who grew up in Dallas, attended college in Austin, and obtained his law degree in Houston. 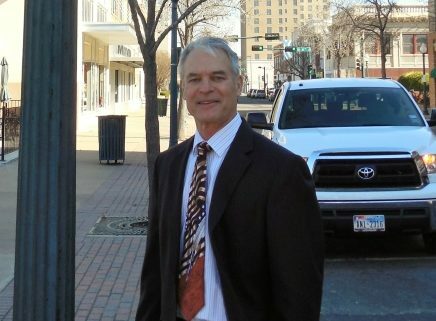 He moved to Waco in 1986 to take a job with the McLennan County District Attorneys. He rose to the level of chief felony prosecutor during this time and has been in the private practice of law since leaving the DA’s Office. Prior to law school, Scott worked for 3 years with the Austin State Hospital, Alcohol and Drug Abuse Treatment Center, followed by 5 years of cancer research at the University of Texas. He obtained a Master’s degree in molecular genetics during this time. With this knowledge as a background, and guidance from his father, who was a criminal defense lawyer, Scott obtained his law degree in 1984. Scott Peterson passed the bar exam and was licensed to practice law in Texas in 1984. Scott Peterson met the requirements and passed the test to become a criminal law specialist in 1991. He has been recertified as a specialist every 5 years since. Scott Peterson taught the law under the Fourth (search and seizure), Fifth (due process/right to remain silent), and Sixth (effective assistance of counsel/speedy trial) Amendments to the United States Constitution for the University of Texas at Arlington (local campus). Criminal Law Specialists are required to attend continuing education classes to maintain their board certification. About 95% of all criminal cases are handled without a trial. In such instances a lawyer must be able to understand a client’s particular situation in order to afford effective representation and achieve a favorable outcome. The more real-life experience a lawyer has, the better the lawyer will be able to understand the client and achieve this favorable outcome. If you are looking for an attorney who will understand your particular problem and provide individualized representation, Scott Peterson has a wide area of knowledge and experience to understand and assist you.